In 1923, Walt Disney and his brother, Roy founded the Walt Disney Company. The company is divided into corporate divisions: Parks and Resorts, Studio Entertainment, Disney Consumer Products, Disney Interactive, and Media Networks. Today, Disney is one of the largest companies in the world providing entertainment for children, adults, and families. In 1996, Disney merged with Capital Cities/ABC and created the Disney|ABC Media Network division. It is comprised of 8 owned and operated stations, over 240 national affiliates, 20 cable channels, and equity shares with digital over the top platforms (1). Disney Inc. is traded on the New York Stock Exchange Company. Their shares have been high for the past three months with their most recent share price at $114.05 (2). Their average earnings per share at the end of the 2015 fiscal year was $4.90 (4) . DIS Stock Prices from September 1, 2015 to December 1, 2015. Disney’s Media Network’s total revenue, year-end, was $23.264 billion and the total income was $7.793 billion (1). The American Broadcast Company (ABC) is a branch of Disney Media Networks and was founded in 1943 (3). The Disney|ABC Television group is comprised of several businesses including ABC Entertainment Group (ABC Entertainment and ABC Studios), ABC Television Network, ABC News, ABC Family, ABC Owned Television Stations Groups, Disney|ABC Digital Media, and Disney|ABC Domestic Television (a network that airs syndicated programming) (1). ABC’s Primetime Fall season has been doing relatively well with high ratings (5). They have primetime programming Sunday to Friday nights and on Saturday, they air football. 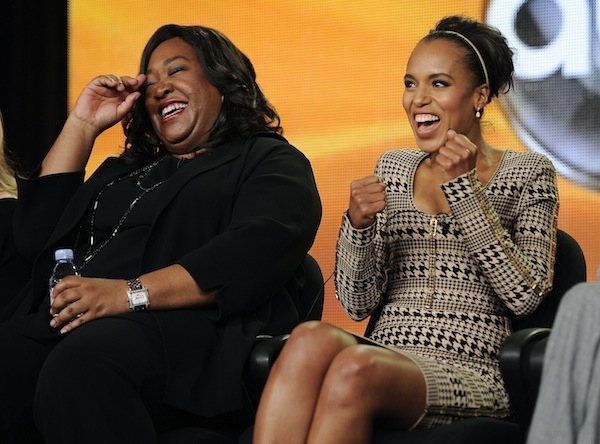 ABC has ten new shows for the 2015-2016 year. Five of the ten shows including Quantico, Blood & Oil, Wicked City, Dr. Ken, and The Muppets have already been premiered. Returning shows include Modern Family, Scandal, Nashville, Shark Tank, Fresh Off The Boat, Agents of S.H.I.E.L.D., Once Upon a Time, Jimmy Kimmel Live, and more. While new shows Quantico, Dr. Ken, and The Muppets are doing quite well and are expected to be renewed for another season (6), Blood & Oil is not doing as well and very close to being canceled and Wicked City’s ratings plummeted quickly at a record low of 1.7 million viewers in their third week, and after their third episode, it was the first show of the season to be canceled.(12). ABC’s 10:00 pm shows Monday through Wednesday are all doing poorly (9). Castle and Nashville are shows with poor ratings and are said to be in their last seasons are both in the 10:00 pm spot and Wicked City was in that spot as well (10). Thursday Nights primetime 8:00-10:00 pm continue to have high ratings. Thursday is “Thank God It’s Thursday Shonda Night” with popular ShondaLand shows, Greys Anatomy, Scandal, and How To Get Away With Murder. ShonaLand’s fall season is doing very well with a large following and excitement around the three shows (5). ABC’s total revenue for the 2015 fiscal year was $6.683 billion coming from renewal of affiliate deals and advertising sales. ABC’s primetime are top spots for ad sales due to their high ratings, especially on Thursdays 8:00-10:00 pm (10). Monday through Wednesday 10:00 pm spots are not as popular, but they still sell enough ad spots (3). ABC is earning more advertising revenue during the holiday season with specials and family favorites (14). Disney’s Media Network owns and operates 7 cable networks and has shares in 13. Owning 100% of both Disney Channels and ABC Family, 80% share in ESPN, and 50% in A&E, Disney|ABC runs 20 networks with 1,832 million subscribers total. In the 2015 fiscal year end, Disney|ABC’s cable networks had $16.581 billion in revenues from subscribers and ad sales (1). ABC Family recently released their winter premiere dates and have begun creating buzz around the return of popular shows Pretty Little Liars, The Fosters, Baby Daddy, Young & Hungry, along with the series premiere of Shadowhunters and Recovery Road. For the month of December, ABC Family filled their schedule with holiday programming, specials and movies (11). Disney Channels include The Disney Channel, Disney Junior, programming for infants and toddlers, DisneyXD, Hungama, in India, and Radio Disney. have kid-friendly programming 24/7 with holiday programming in the month of December with holiday episodes, specials, and family movies (15). DISNEY|ABC owns 80% of ESPN, a cable network with 7 channels and over 540 million subscribers (1). ESPN is one of the top networks for sports programming available through television, over the top streaming services, and radio broadcasts (16). ESPN has high ratings and does bring in ad revenue (19). While ESPN provides Disney with 50% of their profit, over the past two years, ESPN has lost 7 million subscribers, which will effect the company (17). As such, ESPN has spent more money on operating and program expenses with hopes to bring in more subscribers and make the experience better for their current customers (18). Hopefully ABC will produce a successful show for the 10:00 pm spot and their cable networks gain more subscribers. For more information on Disney/ABC Television Group’s executives click here. Disney has recently acquired the rights to Marvel, which allows the Disney company to use that franchise in all aspects of the company. It has been recently announced that Disney and Netflix have partnered together to bring viewers a new miniseries based on Marvel’s most popular characters. It will exclusively start streaming on Netflix in 2015 with four serialized programs, preparing the way for a miniseries programming event. The miniseries is produced by Marvel Television and ABC Television Studios and is said to have groundbreaking live-action storytelling. This is following a previous deal with Netflix, which allows members to watch a wide range of Disney, ABC TV, and Disney channel movies wherever Netflix is available. Marvel is a well-known and loved brand with movies such as ‘Iron Man’ and ‘The Avengers’, so pioneering the new miniseries idea will hopefully take this form of live-action television viewing to the next level. For the current 2013 season, ABC has canceled “Lucky Seven” and “Back in the Game”. A few shows such as “Betrayal”, “The Neighbors”, “Once Upon a Time in Wonderland”, “Trophy Wife”, and “Super Fun Night” with Rebel Wilson are likely to be canceled by the end of the season in May, depending on ratings. NBCUniversal is a mass media company, and as of early 2013 fully owned by Comcast Corporation , that delievers entertainment, news and sports all across the globe. NBCUniversal creates and distributes content for broadcast and cable television, film, and online. With cooperate owenership and influence all around the world, NBCUniversal is much deserving of its name. NBC and Telemundo broadcast television networks are at the forefront of NBCUniversal’s television presence. Telemundo offers premium spanish language programming aimed at the Hispanic community. It is a one stop shop for a variety of shows, ranging from news to telenovelas and reality television. With powerhouse shows such as The Voice, Community, TODAY, Law & Order: SVU, America’s Got Talent and many more, NBC offers a variety of content to all television watchers across America. NBCUniversal also owns several NBC affiliates throughout the country, delivering high quality regional based content to the nation’s biggest cities. As far as cable is concerned, NBCUniversal continues to grow its reach across all different types of audiences. NBCUniversal has cable channel offerings such as E!, USA, SyFy, The Golf Channel, NBC Sports Network, MSNBC and many others. This diverse distribution of their cable investments shows how NBCU can make an impact on your television viewing experience no matter what you enjoy. Universal Pictures, one the six major film studios, is also owned by NBCUniversal. With recent and future releases such as About Time, The Best Man Holiday, and Lone Survivor, NBCUniversal will look for star-power to bring in large gains as the holiday season quickly approaches. On the web, NBCUniversal has its hands in many nontraditional media outlets such as Hulu, Fandango, and iVillage. Fandago and Hulu link its users to an online stream or even a physical ticket to explore a vast array of movies and television entertainment. iVillage is a lifestyle, entertainment and news website geared towards women that boasts an impressive 30 million unique visitors a month . NBCUniversal continues to bring in great profit over the years with 2013 being no exception. NBCUniversal had a very solid 3rd quarter of the year with revenue increasing by 3.9% . However, a huge portion of the quarterly gains were seen by the great success Despicable Me 2 has shown for Universal Pictures. On the television side of things, operating cash flow increased by 5.4% for the cable unit while plummiting by 61% for the broadcast unit . NBCUniversal will look to bounce back with a great increase in revenue once the 2014 Winter Olympics in Sochi Russia being. NBCUniversal has exclusive rights to the Olympics and hope to bring in similar numbers to their 2012 Summer Olympic coverage, which generated $1.2 billion in revenue  . Aiming for a Younger Demographic? With the relaunch of NBC Sports Network back in January of 2012, NBCSN has constantly been looking for ways to distinguish themselves from the crowd. Channels like FOX Sports 1, as well as the giant that is ESPN, both threaten to take away viewership from NBCSN. 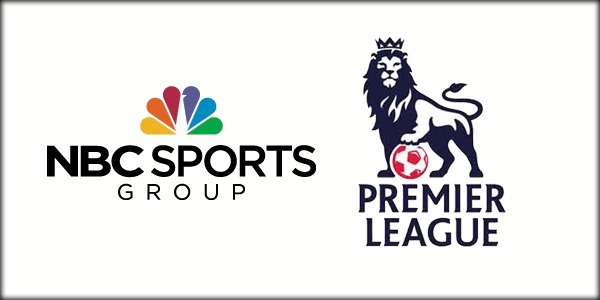 However, with the purchase of the exclusive rights to broadcast the Barclay’s Premier League, England’s top soccer league, NBCSN has done well since the late-august launch of the BPL on the network. Comparing to last years opening weekend of the BPL on FOX Soccer Channel and ESPN, NBC and NBCSN averaged a .5 rating, a 67% increase over the average .3 rating their competitors had . To put this success even more into perspective, NBCUniversal had 9 million viewers watch the first 5 game weeks of the season. This is quite impressive when you look at the only 4.8 million viewers who tuned in to watch the first 5 game weeks last year . While the number may not seem very high, it is quite understandable given the morning start times of these games because of the time change. The 2014 Sochi Winter Olympics are quickly approaching and NBCU is ready to go. NBCUniversal has begun its 100-day company wide countdown to the opening ceremony. There is a lot on the line for NBCU to make sure that this olympics is as profitable as ever, considering its $775 million rights fee . 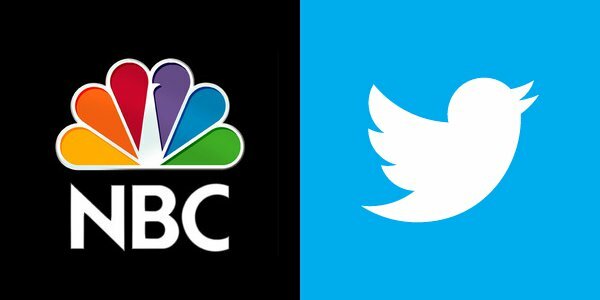 As a way to promote the coverage of this worldwide event, NBCU will play high quality promotional commercials over the upcoming weeks across all of its broadcast and cable networks. Also, NBC and other NBCU channels have already begun to display the iconic peacock bug symbol with the olympic rings below it . However it will be interesting to see if the time zone shift will have an impact on ratings as Sochi and New York have an 8-hour time difference. Below is a Sochi 2014 promotional video NBCU will use across its variety of networks.